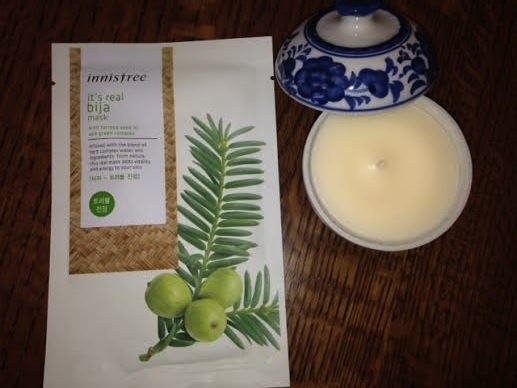 innisfree “It’s Real” Bija Mask: ($1.50) This is a sheet facial mask that promised to revive tired skin and give it a fresh glow. You wear this sheet mask for up to 20 minutes then remove and wash away. I am already planning on doing this next week while laying in bed with my Kindle while my husband is traveling. Thaniya Organic Soy Wax Ceramic Candle: ($10?) I am estimating the price on this one because it is not on the site. It says this is an eight-hour candle, and the scent I got is either Jasmine or Frangipani. I can’t quite tell. It smells really nice, but I am not a floral person, so I will probably gift it. The ceramic is pretty, and is meant to be calming colors, and since the wax is organic soy, it burns at a low temperature and can be used as a massage oil when melted. The translation on the site is pretty amusing, but you get the gist. 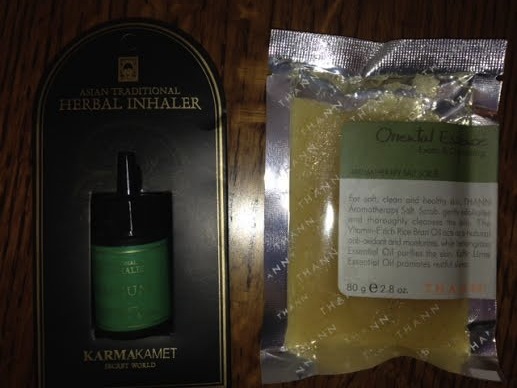 KarmaKamet Herbal Inhaler: ($8?) I am guessing at this price, too, as I cannot find this priced online. The KarmaKamet shop site is under construction as of now. The link I am providing is to another blog where she talks about the KarmaKamet store and the items she purchased there. That is really the only info I can find. There are vague mentions of it here and there, but no prices and no real instructions. From what I understand, you just open the jar and inhale the scent through your nose to help relieve cold and flu symptoms. I currently have cold symptoms, and I inhaled through my nose from the jar. I can’t say that I noticed anything life-changing, but it does smell healing, like eucalyptus and menthol. It is possible that I inhaled too tentatively. Am I doing this right? Does anyone know? Thann Oriental Essence Aromatherapy Scrub: ($13.00) This scrub is supposed to exfoliate and cleanse the skin, the way all good salt scrubs do. Sold. I typically use these scrubs more in the Spring and Summer, as my winter skin is so terrible that I hide it unless I am in the pool (which is another reason for my crappy skin) I may give this one a try early, though. It smells nice, and is a nice size. This brand is all over Amazon, and it looks like they have some really good stuff. I am excited to try it. 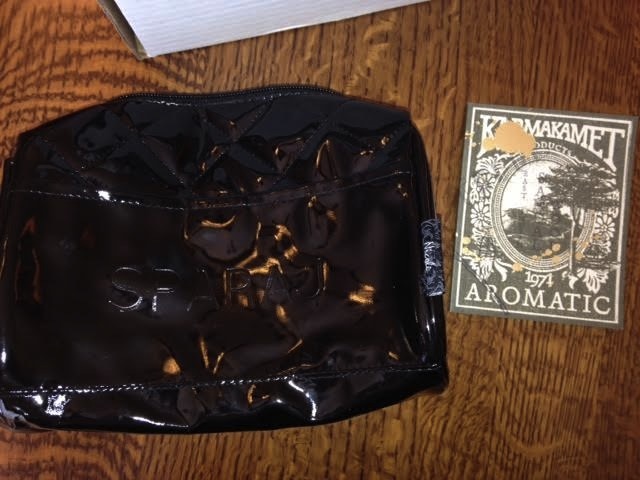 KarmaKamet Aromatic Notebook: ($5?) So, at first I thought this was kind of strange, but it really grew on me. This is a little notebook with blank pages, but in the back is a little pocket that holds a scent sachet so that all the pages smell nice. I like the idea of giving someone a little note or writing down a memory only to find it years later and be able to remember the smell. I get kind of romantic notions like that every so often. This might have been my favorite item. Again, their site is still under construction, but the shop looks like a cool place to check out if you’re ever in Thailand. Wish I would have known about it when I was there a couple years ago. 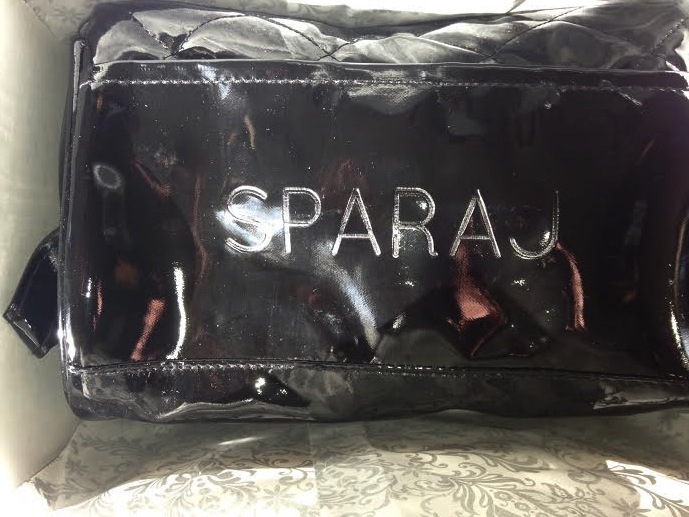 The value of this box, although estimated, seems to be right around or slightly below the $40 per month price tag this month, although part of the draw of Sparaj is getting to try new products from Asia, so I don’t totally expect it to always be way over $40. This box is kind of a funny one for me. I like it, but I think the problem might just be that it is not quite “me”. In fact, I could see a couple of my more granola-esque yoga and massage therapist friends really liking it. They might be the recipients of some of the items, and I could see gifting this subscription to someone in that genre. 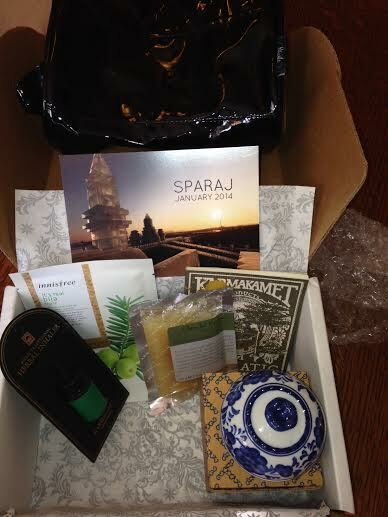 Still, I’m looking forward to seeing what my third month of Sparaj brings next month. 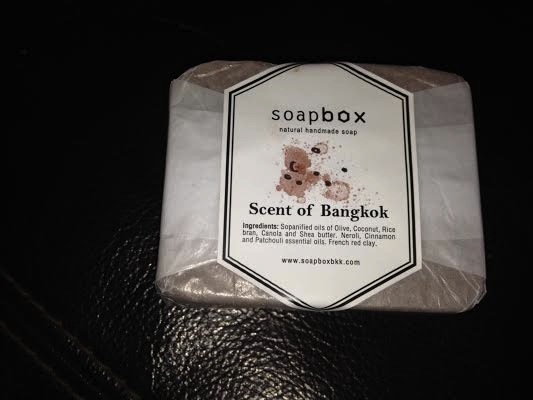 Soapbox soap in Scent of Bangkok: (200 Thai Baht, which equals about $6) This soap smells amazing, and I am excited to use it. After checking out the Soapbox website, I found that it is a very cool company that does a lot of good in the world. I like giving my money to companies like that. 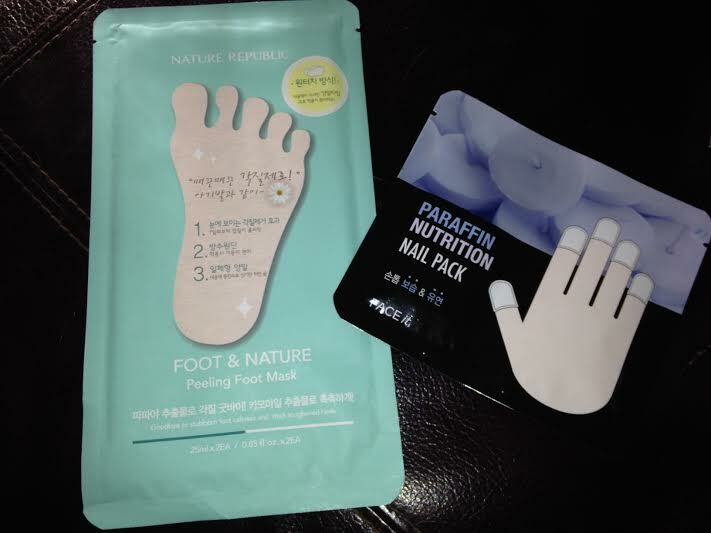 Foot and Nature Peeling Foot Mask: ($19.40) So according to the instructions and Amazon reviews, you put these sheets on your feet, leave them on for an hour, then over the next ten days dead skin and calluses just start falling off your feet until they are soft and beautiful. This is a Korean product, and frankly, I am a little nervous about it. I have a lot of running calluses that I actually wish to keep and always ask a pedicurist to avoid. I know that sounds gross, but I would rather have calluses than blisters. I will probably add this to the Bag-o-Beauty or as part of a gift. Paraffin Nutrition Nail Pack: (1000 Korean Won, which is equal to about $1) These supposedly do great things for your nails and cuticles. There are ten in the pack of different sizes for each of your fingers, and you put them on and leave them for awhile while the oil soaks in. I will look forward to giving these a try, as will my ravaged cuticles. 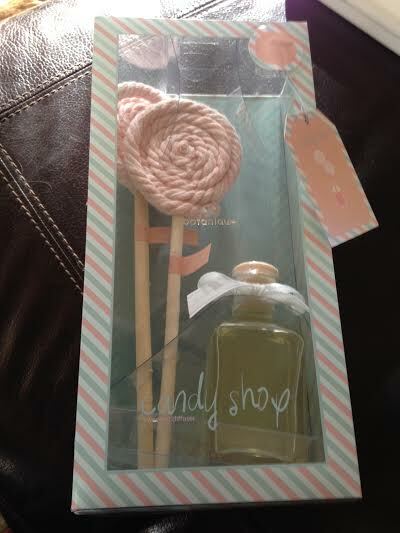 Candy Shop Diffuser by Botanique: (940 Thai Baht, which is about $29) The lollipop design might be a little too cutesy for my taste, but I love the smell. Maybe I will find a home for it where it can be smelled and not seen. 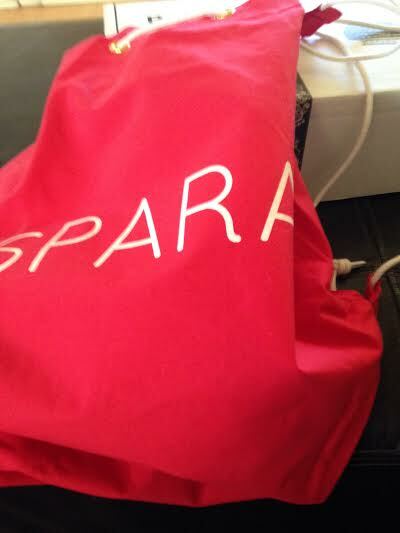 One of the things I like about Sparaj is that everything always comes in a tote bag of some kind, and for December it was a red drawstring bag that I will definitely get use of, if only for groceries or lunches. 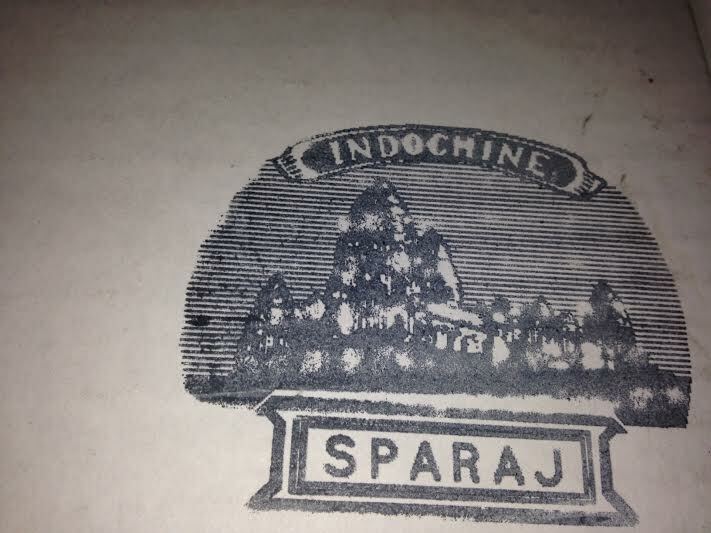 So, the good things about Sparaj for my first box are that everything smells really nice, and the value is definitely appropriate based on the retail prices. For the $37 price tag, the box had about $56 worth of products, plus the tote. The not-so-good things to me: I didn’t see a lot of variety in this box. 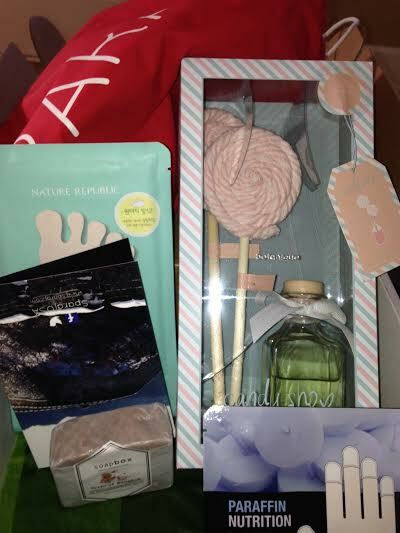 It was all nice, but felt a little ho hum to me, and I think that was because in their first two boxes, there was already a diffuser and a bar soap. It seems weird that they would already be repeating items when they are only in their third month. That being said, I am signed up for three months and am looking forward to what the next two months bring from this new company. 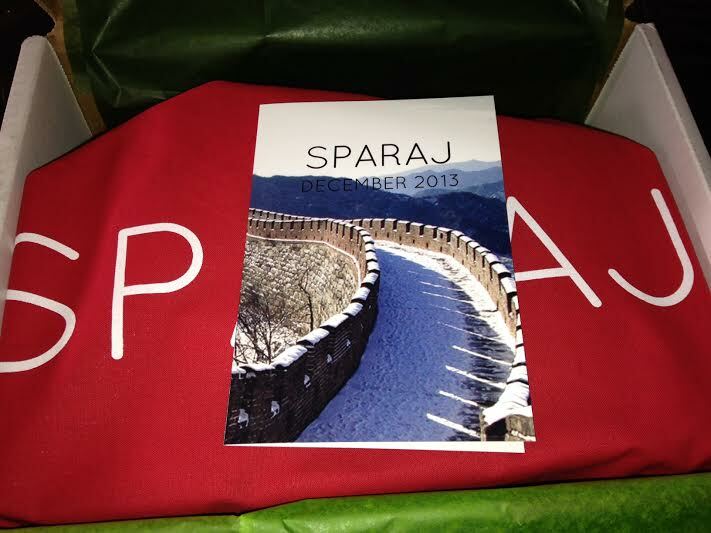 Sparaj is already sold out for December and January, but is taking orders for February. Askinosie Chocolate Single Origin Cocoa Powder: We are big Askinosie chocolate lovers around here, and I pick up the bars on a regular basis at our neighborhood gourmet shop. I bet this hot chocolate is legit! Three Tarts Gourmet Marshmallows in Cinnamon: Yes, these will go perfectly with the hot chocolate. I think I will save both of these items to make for me and my husband on Christmas Eve night while we are Santa-ing for D. Mike is a hot chocolate freak, and the marshmallows might just send him over the edge. Maybe we’ll even throw a little booze in there. You never know with us; we’re kinda wild like that. Jonathan Adler Fireplace Matches: So these are going to get used soon. The packaging is gorgeous, and I love long matches anyway, but we have a fireplace that is 100 years old and in questionable service, so we don’t really use it. What I do instead is fill it with candles (I get the inexpensive six-packs from IKEA) and we light them for special occasions, including the special occasion that we both happen to be sitting down with a glass of wine and the baby is sleeping. It gives the illusion of a fire in the fireplace without all the wood and mess. So, anyway, these matches are perfect for lighting all of the candles in one swoop instead of burning my fingers on a hot Bic lighter. Also, not sure why I didn’t photograph the matches with the candle, but my odd methods are simply part of my charm. (MALIN+GOETZ) Votive in Cannabis: So, I was kind of wary about receiving a candle with a Cannabis scent, but honestly, it does not really smell like I thought it would. I would definitely consider this a manly scented candle, which are not my personal flavor to burn, but it still smells fresh and woody and clean. I think this one would make a nice gift. 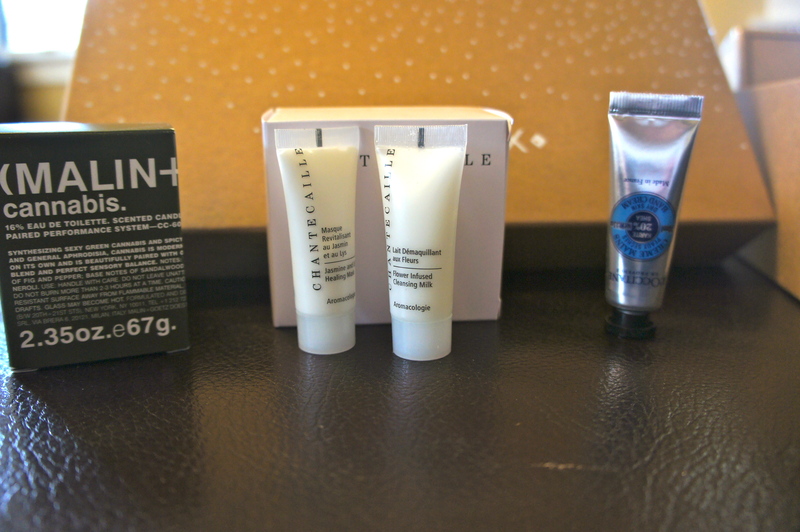 Chantecaille Flower Infused Cleansing Milk and Jasmine and Lily Healing Mask: Man do I need a mask so bad. I sometimes look at my face in the mirror and am shocked to see my mother staring right back at me. This mask promises to give my face a dose of pure calm. I wonder if they have a version for your whole life instead of just your face. The Cleansing Milk will probably get tossed in my swim bag, as it is always nice to have something good to wash my face with instead of the “face wash” at the gym. I put it in quotes, because I am almost positive that the face wash and body wash are interchangeable in the giant dispensers in the gym showers. This would be a nice change for my tortured skin. No wonder I look 20 years older than I am sometimes. L’OCCITANE Shea Butter Hand Cream: I have this and use it already (though Keihl’s is my go-to hand cream) and this deluxe sample size is perfect for my purse. My hands will be thankful. 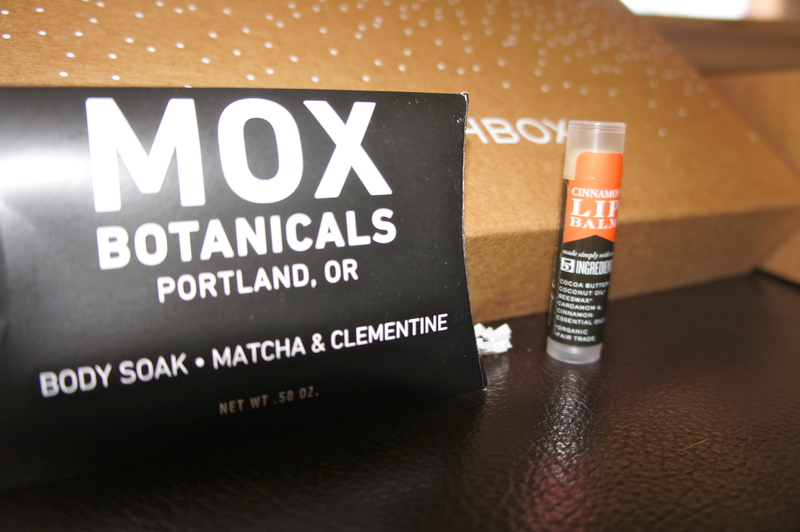 Mox Botanicals Matcha and Clementine Body Soak: This smells really nice, and I love the packaging. This sample will most likely end up in the Bag-o-Beauty, simply because I do not take baths. It’s not that I don’t want to take baths, in fact I actually long for it sometimes, but then I remember that I am over six feet tall and that we live in a house with bathtubs that are not even remotely large enough for a tall person to take a bath. So, if we end up moving to California, I am searching for a house with one of those giant jacuzzi tubs, and then I will use this, if not, my friends can fight it out for it on our lake trip this summer. S.W. Basics Organic Lip Balm: This lip balm feels great and has a very different, but nice smell. I like it, and it will be part of my vast collection immediately. These were my two favorite items in the box. Happy Socks Combed Cotton Crew Socks: I love wearing funky socks like this with clogs in the winter. I am always wearing athletic socks, and I love to change it up a little bit with some cool ones. These are bright pink and burgandy tiger stripes. I feel cooler already. 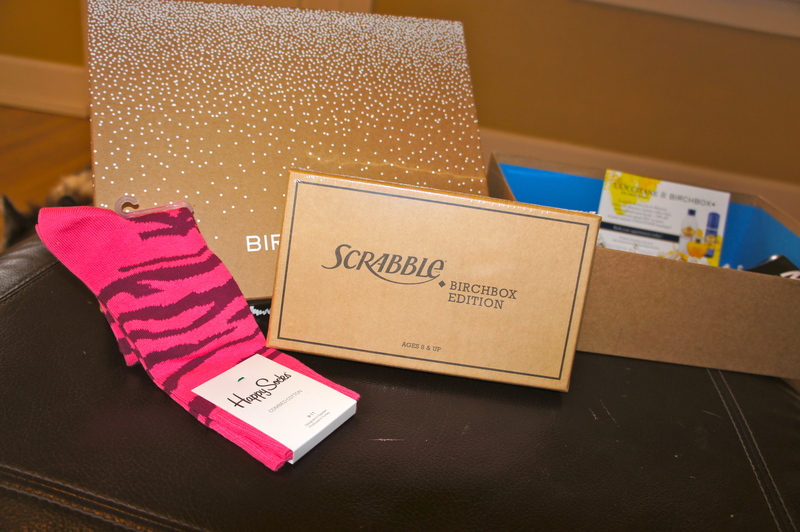 Scrabble Birchbox Edition Mini Game: This is so cute. I love Scrabble, and how fun it is it to have this tiny little portable size. The board folds up small, and the letters are super small. Adorable. I don’t know how functional this board would be for like super-competitive Scrabble players, but just for messing around on a mountain trip? Definitely. 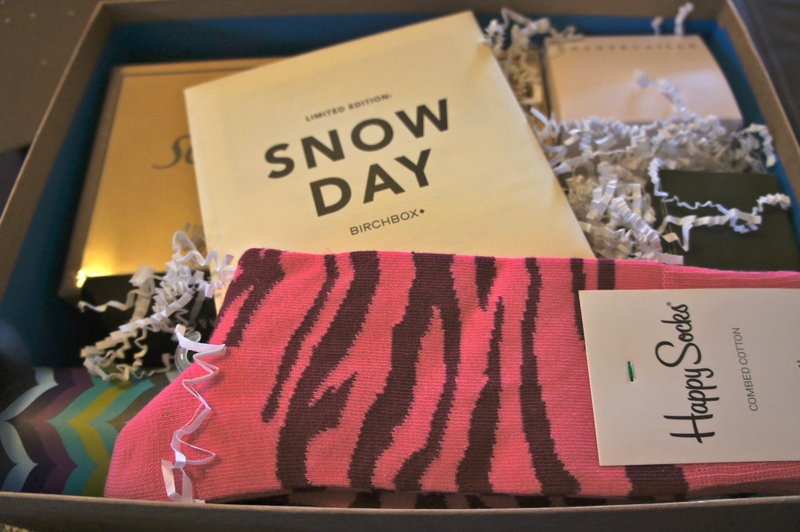 All told, the Birchbox Snow Day box had a great value, and I love almost everything in it. They also included really cute cards explaining how to have different kinds of Snow Days. Sold. this Colorado girl can most definitely get behind an awesome snow day. This box is still available here. I took this photo when Mike and I were at a football game a couple weeks ago. I was peeing while I took it; I’m classy like that. It was written on the inside of the stall door at about peeing-level. It made me laugh so hard, because, honestly, this is a pretty permanent solution to a temporary problem, amirite? 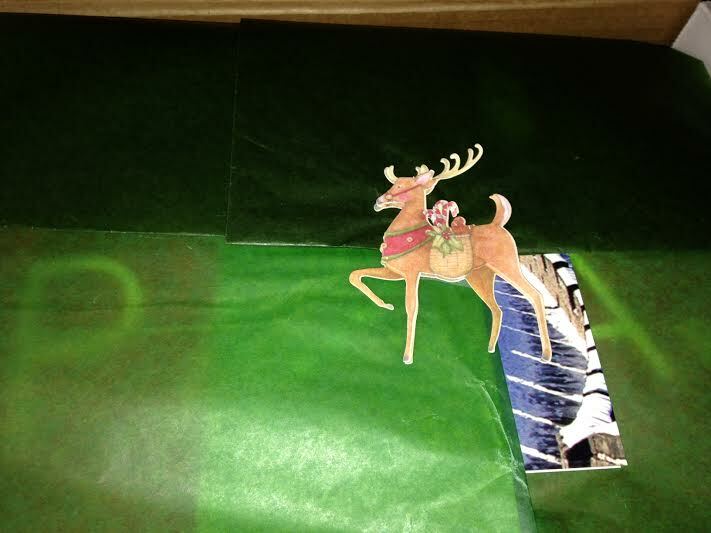 It did make me look right away though, and yes, there was some TP. Phew. Now on to more important things, most notably, how I am a slacker and have not reviewed anything yet. 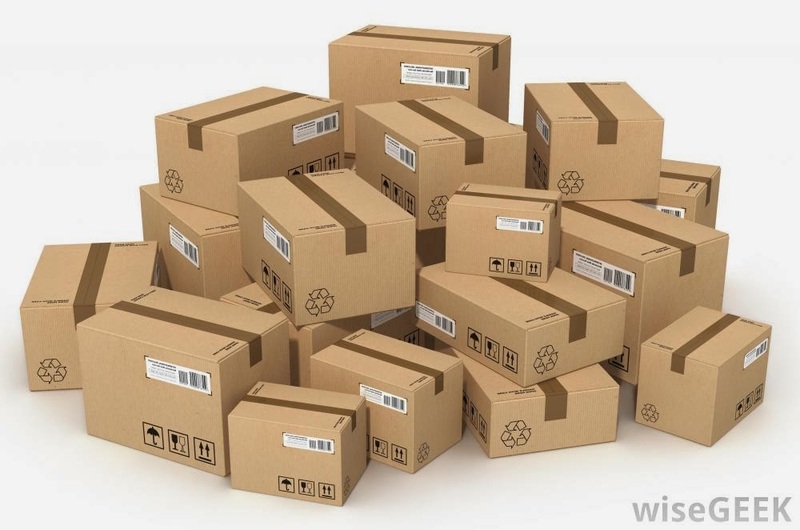 I WILL start reviewing boxes here soon. I lied on the boxes I said I was going to review last week, but I swear, I will start with November boxes and review with gusto. 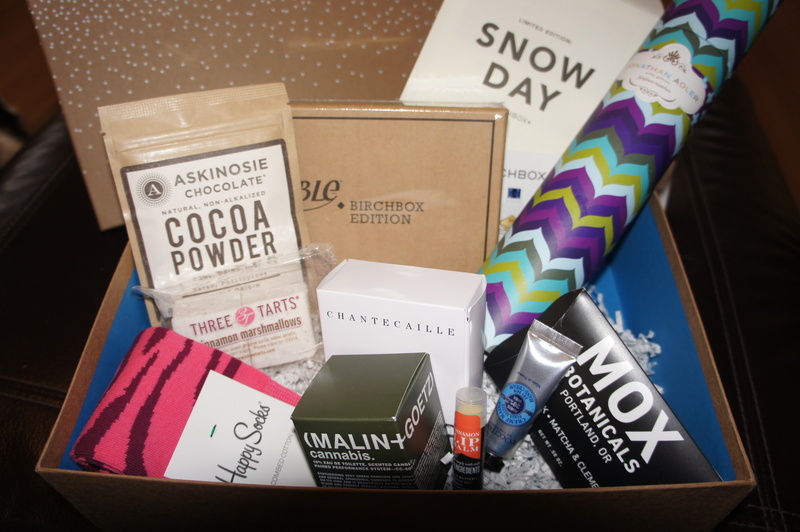 I’ll be looking at PopSugar, ipsy, Citrus Lane, Bespoke (maybe, if it looks like something good), and Bike Loot (my husband is going to get that one as a surprise, but not until after I open it and dissect it for review purposes). I will also purportedly be getting the PopSugar Neiman Marcus Box in November. swoon. The PopSugar Holiday Luxury Box goes on sale today, too, so I will have that to look forward to in December, as well as the start of Sparaj, which I am SUPER stoked about. That box looks right up my alley. So, yes, I guess I that this means I am more focused on the Soap Box portion of this blog until November, because, honestly, my ipsy and PopSugar boxes for October are already old news. (but I still love them!) But until November reviews, you can just count on more babbling from me as I try to sort out what the hell I am doing with my life. 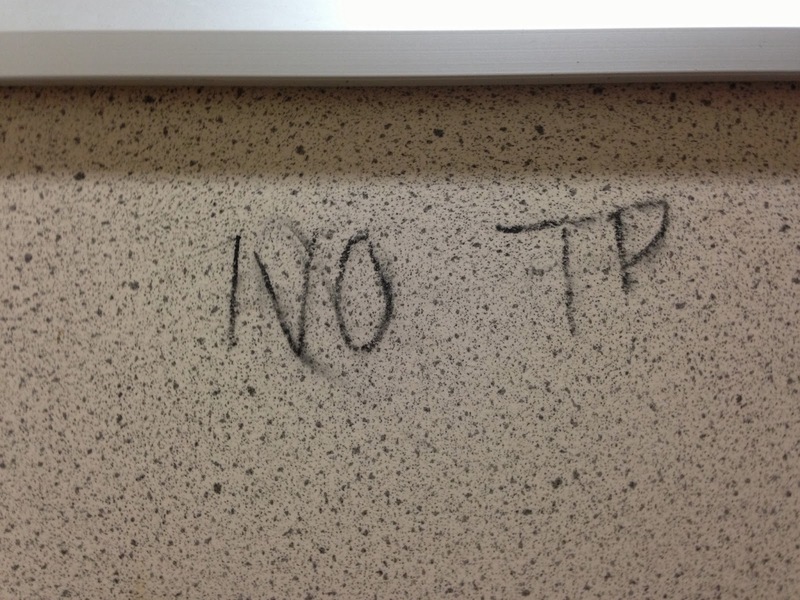 Stay warm everyone, and always make sure there is TP. Tomorrow, a review of the Favorite Things Party I hosted at my house last weekend. 30 tipsy women bearing gifts. It’s a must-see.